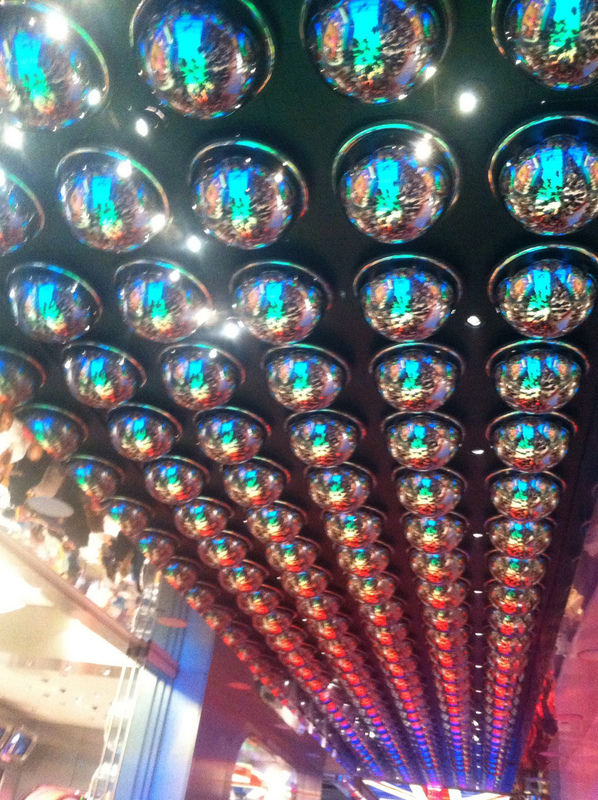 Vegas with Dan's Parents- Love — Always Packed for Adventure! I am not a Cirque person. 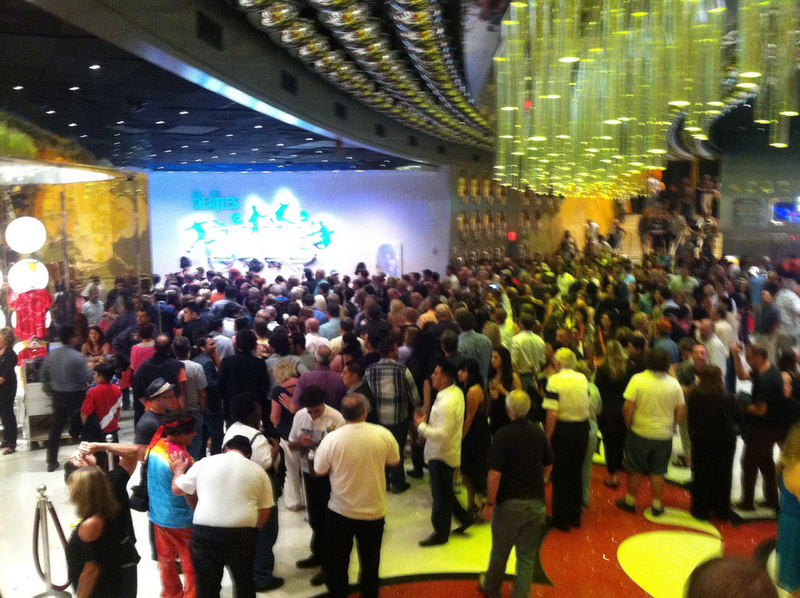 This primarily stems from my first Cirque Du Soliel experience with O at the Bellagio. Yes, it has an amazing stage and several mind-boggling moments, but overall, I sat there yawning and making my mental grocery list. I absolutely hated the clowns, who couldn't possibly be more unfunny if they tried. I have now seen three cirque shows ( O, Love and KA) and have figured out that the clown bits are simply not my sense of humor. KA was better than O, but I still found my mind wandering and felt that the show ran long. 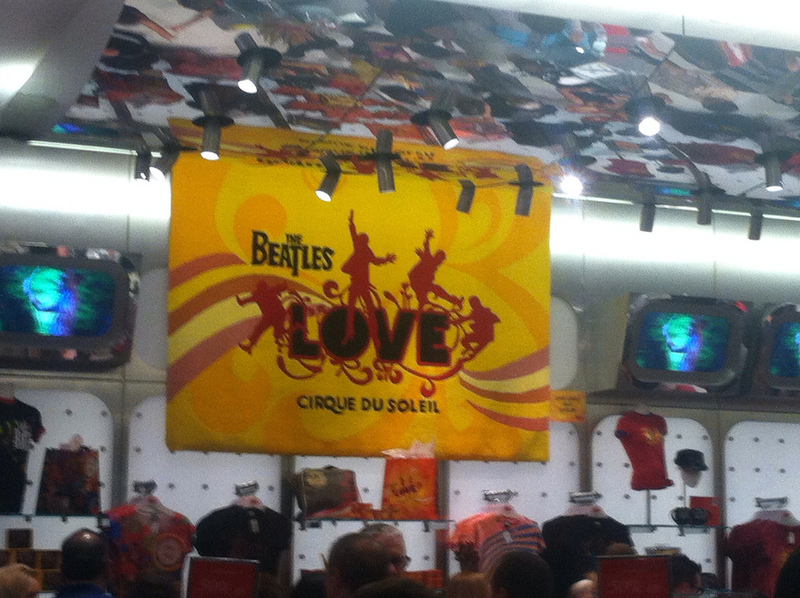 Despite the clowns and "Not Being a Cirque Person", I really enjoyed The Beatles Love at the Mirage. This was my second time seeing it, the first being about a month after the show opened. The reason that this show works for me, where the other two didn't, is theme. First, the show has a fail safe. If the scene or show is bad, the music will still always be good. The Beatles = automatic win. However, this worked in another way. Beatles songs are already filled with great characters and stories, so the framework for the show is set by the music. I think this was the fail for me with O and KA. Those two shows didn't have strong stories or great characters. The framework was flawed, so no amount of amazing acrobatics or high tech staging could salvage it. Love has amazing theatrics, but in many ways is a much simpler show. It relies on evoking emotion, rather than awe. Love is different from the other two, because it is more of a dance performance. Several scenes are really only dance numbers, without additional theatrics. I'm not a huge fan of dance, but it really works in this show and I feel that it's because every scene/song had a story with strong characters. Nothing theatrical was extraneous or detracting from the story of the songs. The show has so much energy, that it's impossible to not get swept away with it. I was not bored or making mental grocery lists during Love. If I had to pick my favorite scenes, they would probably be Lucy in the Sky With Diamonds, which is just beautifully done and Being for the Benefit of Mr. Kite, which has a creepy circus sideshow theme. I loved the lady with the collapsing neck! Of course we couldn't take pictures in the show, but here are a few from the lobby. A few close-ups of cool light fixtures. 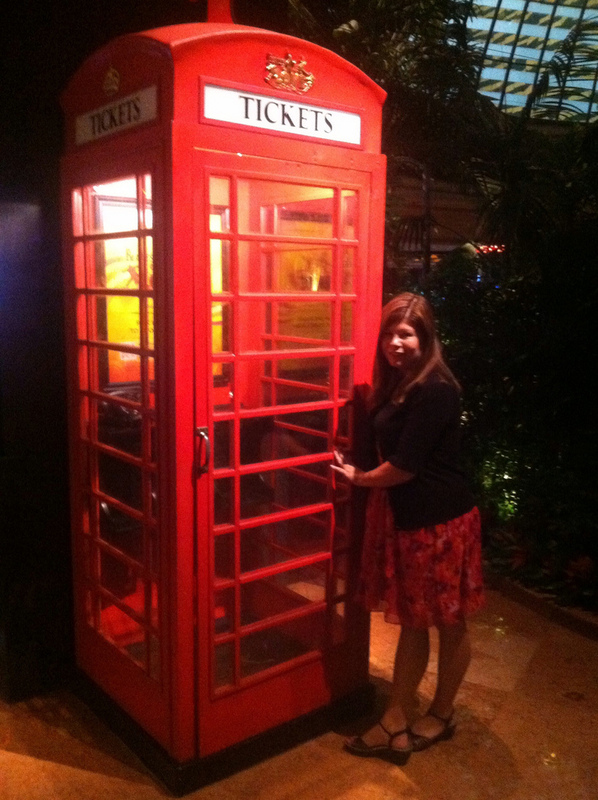 Here is a place to call for show tickets!